Mamata also accused the Prime Minister of making the announcement to "reap political benefits" and said her party will move the EC. Opposition leaders on Wednesday mocked Prime Minister Narendra Modi, accusing him of indulging in theatrics and playing politics over scientists’ achievements following his address to the nation announcing successful test of an anti-satellite missile, while some parties complained to the Election Commission alleging violation of the model code. Congress President Rahul Gandhi took a swipe at Modi wishing him “happy World Theatre Day”, even as he congratulated the Defence Research Development Organisation (DRDO). "Well done DRDO, extremely proud of your work. I would also like to wish the PM a very happy World Theatre Day,” he said on Twitter. Other Congress leaders credited successive governments led by their party for the achievement. “The UPA government had initiated the ASAT program which has reached fruition today. I congratulate our space scientists and the visionary leadership of Dr Manmohan Singh,” senior Congress leader Ahmed Patel tweeted. West Bengal Chief Minister Mamata Banerjee said Modi's announcement was “limitless drama and publicity mongering”, amounting to “gross violation” of the model code of conduct. She also accused the Prime Minister of making the announcement to “reap political benefits” and said her party will move the EC. Speaking in the same vein, BSP and SP alleged it was a diversionary tactic while the CPI-M lodged a complaint with the Election Commission, terming the Prime Minister’s action a “violation” of the model code of conduct. However, sources in the Election Commission said on Wednesday that issues related to national security and disaster management do not fall under the ambit of the model code of conduct. 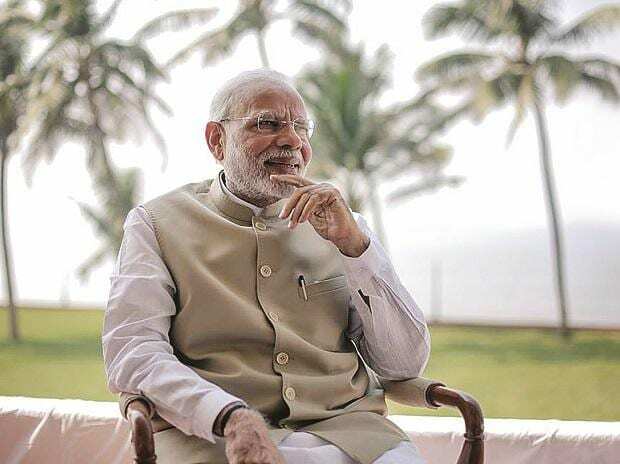 In a complaint to the EC, CPI(M) General Secretary Sitaram Yechury wrote to the Election Commission, asking it why Prime Minister Narendra Modi was allowed to “politically colour” the achievements of Indian scientists in the midst of polls. “Such a mission should normally be announced to the nation and to the world by the relevant scientific authorities like the DRDO. Instead, the Prime Minister has taken the route of an address to the nation in making this announcement,” Yechury said. BSP chief Mayawati accused Prime Minister Modi of playing politics over India’s anti-satellite missile capability. “Congratulations to Indian defence scientists for the successful experiment of shooting down a satellite in space. But the prime minister playing politics under its garb for electoral gains is most condemnable,” she said in her tweet in Hindi. “The honourable Election Commission should definitely take cognizance of this,” Mayawati said on Twitter. Launching a counter attack, Finance Minister Arun Jaitley accused the erstwhile UPA government of not granting scientists permission to build the country's own anti-satellite missile, saying it lacked "capability and clarity". BJP President Amit Shah too hit back at the opposition parties.